Juicy Grilled Chicken – Eat, Drink, and Go! 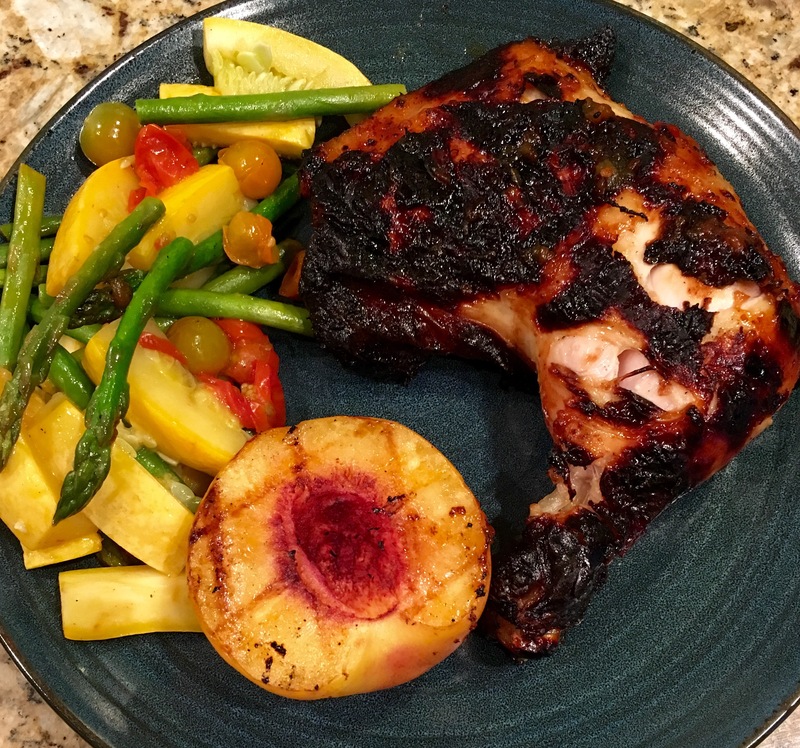 The benefit of changing your mind about grilling the marinated chicken the first night and, instead, doing it the next night is that the extra marinating time makes it even more flavorful and juicier! 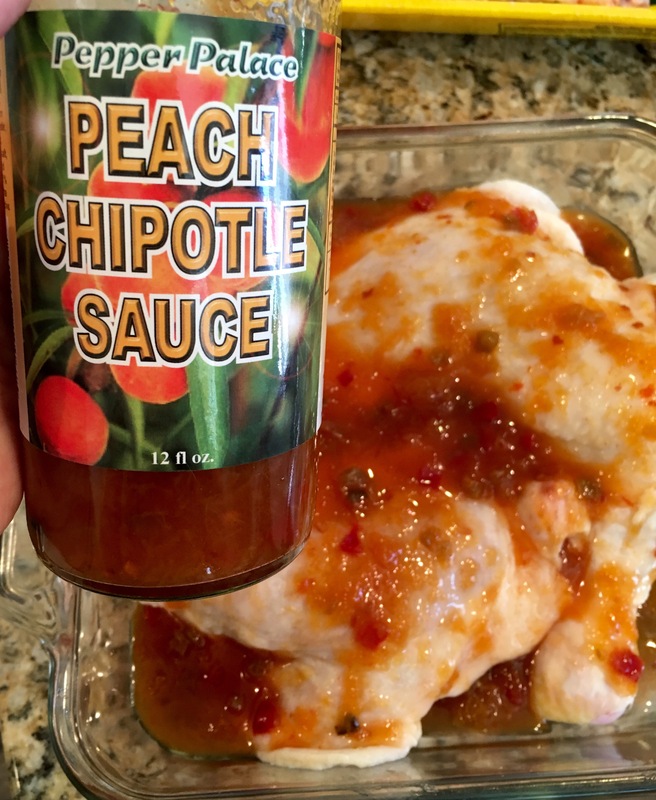 I used a great marinade by Pepper Palace, their Peach Chipotle. And I used chicken leg quarters. 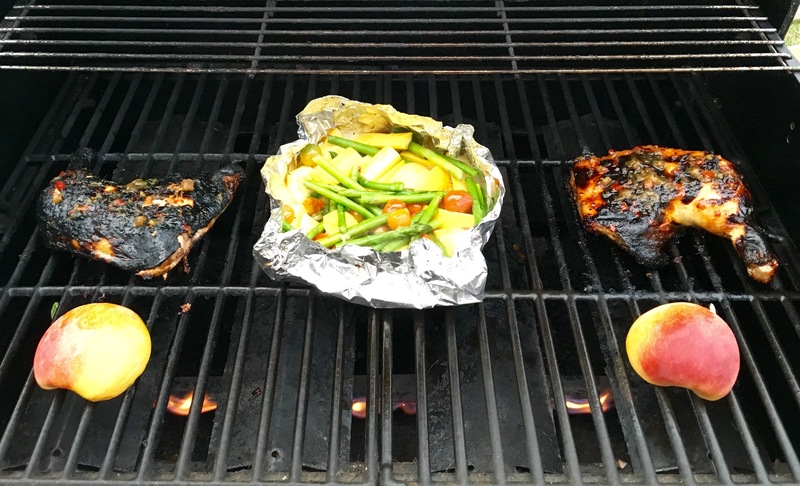 I generally prefer to grill dark meat rather than the chicken breasts because they stay juicier and I don’t have to worry about over-cooking. I made a foil packet of yellow squash, asparagus, and cherry tomatoes with a little lemon olive oil and truffle salt. 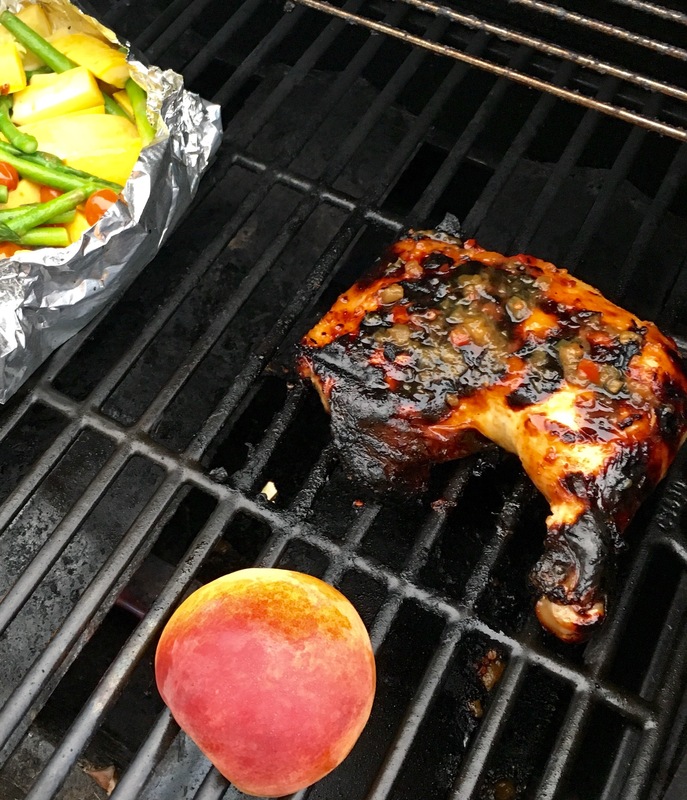 To pump up the peach marinade, I also grilled up some peaches – do this! It’s delicious when you grill them, they get all sweet and caramel good. As the chicken grilled, I poured over it the rest of the marinade. I do like to get the skin nice and charred, and yes, I usually still eat it because I’m a skin-eater and not ashamed to admit it, but you can remove it if you need to. And underneath, ooooh how juicy that meat is!! I didn’t need anything else on the chicken after a two-day bath in this marinade! Delish!! This was an excellent grilled meal. I always feel like as the summer comes to an end, I didn’t grill enough. I’m going to try to grill more during the fall. I always say that too. Here’s to hoping I can follow through on fall grillin! !